Let’s start with a riddle: What am I? All canaries possess them, but I have never seen any writer on canaries mention them. You will see them in photographs, but rarely in drawings. 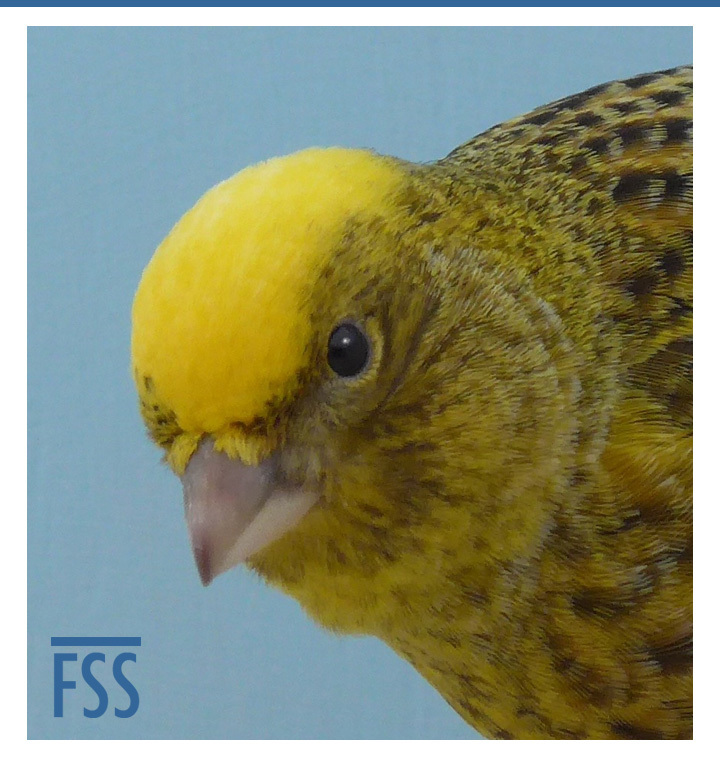 They are an insignificant detail in every variety except one: the Lizard canary. They are the last feathers to revert from a clear to a dark colour. Their correct colour is dictated by the type of cap. In clear caps, those few extra millimetres of light feathers destroy what might otherwise have been the perfect oval shape. They stand out against the horn colour of the upper mandible. You end up with an oval plus a protrusion at the front. In non caps, those two small tufts are often clear, they stand out against what would otherwise be a totally dark bird. It is a miniscule fault, probably less than one-thousandth of the complete bird, but surprisingly common. You sometimes see a bird with dark bristles on one side and a light bristles on the other. Others are dark both sides but include a few clear bristles. It can be very frustrating, but when you are looking for perfection, these things matter. Only in the Lizard canary can such small feathers have such a big impact.